Do the Monster Mash (and Give a Graveyard Smash)! 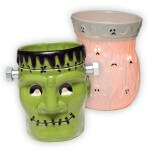 Share some Halloween thrills and chills with the gift of a monstrous warmer from Scentsy! Do your loved ones have a soft spot for mad scientists and creepy creations? Then give a jolt of Frankenstein fun with He’s Alive! Are they mesmerized by the melodic moans and groans of the most petrifying phantoms? Then give the scary specters of Ghouls & Ghosts! With fine detailing and plenty of personality, both warmers are bound to give a healthy dose of frightful delight. 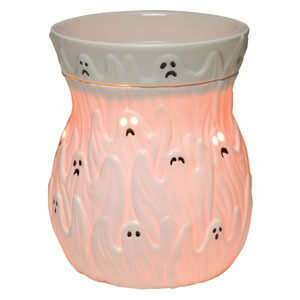 Decorate your home this Halloween with a one of our Frightening Scentsy Warmers. Scentsy is a great addition to your Halloween decor. Place the warmer in your entrance hall so your trick-or-treaters will see it! You’ve got your costume—now it’s time to dress up your home! 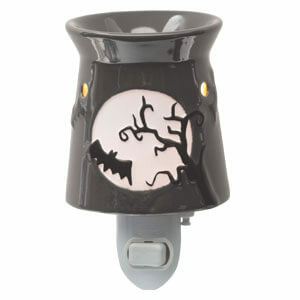 Try warming Pumpkin Marshmallow Scent or Pumpkin Roll Scent in your Halloween Scentsy Warmer. This is one monster you’ll want to let in the house. Green and ghoulish, He’s Alive! has all the details that made Frankenstein famous (but with a little more charm). Receive a visit from spooky white specters! Ghouls & Ghosts brings the great beyond into your home – no rattling chains, tumbledown houses or creepy moans required. will give you and your trick-or-treaters goose bumps! Fright Night Plugin! You can decorate with Scentsy in your small spaces too! This is the perfect Warmer for your bathroom! 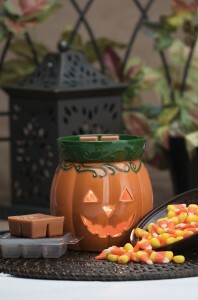 The popular Jack-o-latern Warmer is a closeout item and available while supplies last. 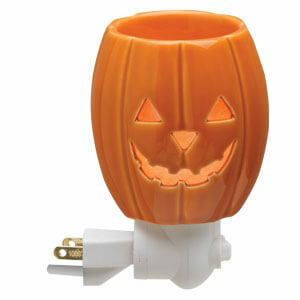 The pumpkin, Jack-o-latern nightlight is also available while supplies last. I am trying to find a full size fright night warmer. Please let me know if you have one or if you can find one that I can buy. I have contacted all the local dealers I know and am now branching out. Please help me. I have a used one. Will look around to see if I can find a new one. 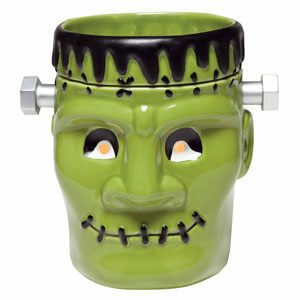 Have you seen our new Halloween warmers? Do you still have the used fright night warmer? We have the fight night plugin but not the full size warmer.